This is “adult” French toast. Mainly because there is a tad bit of dark rum in the “syrup”. Pineapple and coconut need rum, though…. right? This French toast that has been bathed in coconut milk and pineapple juice and then slathered with a sweet rum & agave glaze…… This is my final recipe for #brunchweek, as well. Which means next week I’ll have dinner vittles. Because you may be “brunched” out by now. Me personally… I am thinking about BBQs and ice cold watermelon. I’m getting into summer mode. This French toast eases right in to summertime. It’s the kind of breakfast you’d eat on vacation in the Keys, or, even better, Hawaii. It’s the kind of breakfast you’d have in flip flops, and it’s aroma would blend right into the fresh suntan lotion you just slathered on. In a bowl, mix the coconut milk, pineapple juice, rum extract and egg. Dip each slice of bread in mixture. Cook on a hot skillet over med-high heat until golden and crisp on the outside. Arrange on a plate and top with coconut and pineapple. Mix the agave nectar, rum and extract in a small container, and pour over toast as desired. So… go ahead, pretend you’re on vacation at brunch. We are so grateful to have such amazing sponsors for Brunch Week who have given us a fabulous bunch of incredible (INCREDIBLE!) prizes for our giveaway. A KitchenAid Artisan 5-Quart Stand Mixer model number: KSM150PSGA. Mixer comes with: 2-piece pouring shield, 5-quart stainless steel bowl, flat beater, dough hook, and wire whip. 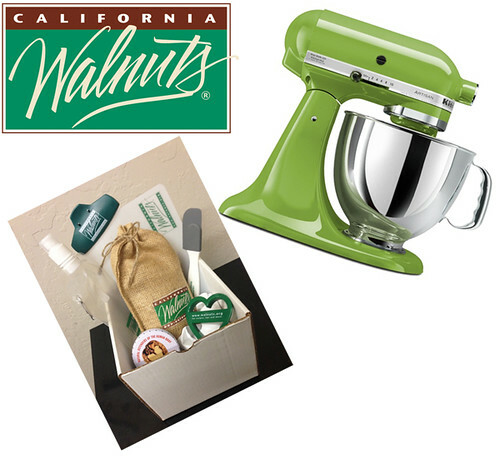 A Walnut Prize Pack containing 1lb burlap bag of fresh California Walnuts, 1 portion control tin, 1 heart shaped cookie cutter, 1 flexible cutting mat, 1 mini spatula, 1 chip clip and 1 water pouch. .
One lucky winner from the rafflecopter below will receive a Lodge Cast Iron Skillet, three silicone pieces (a hot handle holder, a pot holder and a trivet). 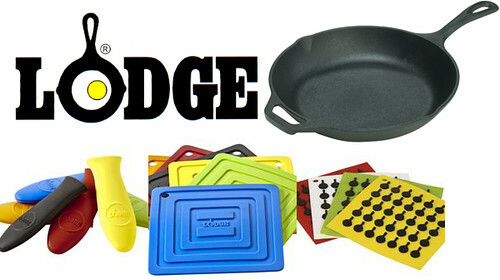 In addition, one lucky participant from our TweetChat on Sunday May 5th from 2-3pm Eastern will also win a Lodge Cast Iron Skillet and the three silicone pieces. PLUS five lucky participants will get a set of the three silicone pieces. (Search for hashtag #BrunchWeek to follow along. Use the hashtag in tweets during the chat to enter to win). AND, everyone who comments in our PinChatLive on Saturday May 11th between 2-3pm Eastern will also be entered to win one prize of a Lodge Cast Iron Skillet and a set of three silicone pieces and 4 prizes that contain three silicone pieces each. 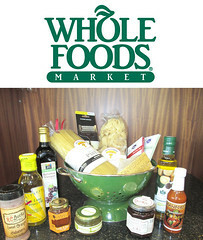 (For the PinChatLive go to The BrunchWeek Pinterest Board at 2pm on May 11th and comment on the questions pins there. Refresh your screen often so you don’t miss any new questions). 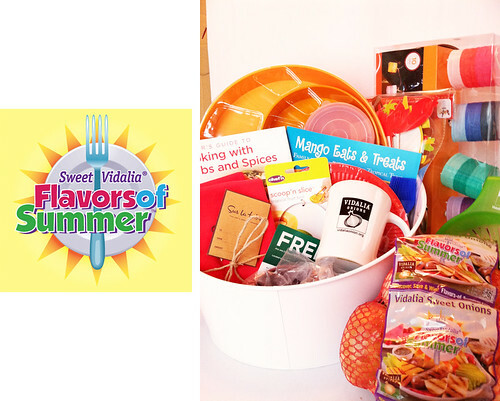 A Flavors of Summer Entertaining Package including (get this!) a $100 gift card to Sur la Table! 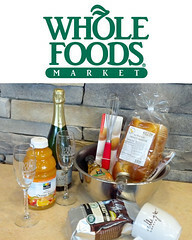 In addition to the amazing gift card, this entertaining package includes a variety of goodies including cookbooks, kitchen utensils, entertaining partyware like a chip and dip server, beverage container and more. From free products, to fun stuff for decorating – you’ll be able to make the most of your next summer party. 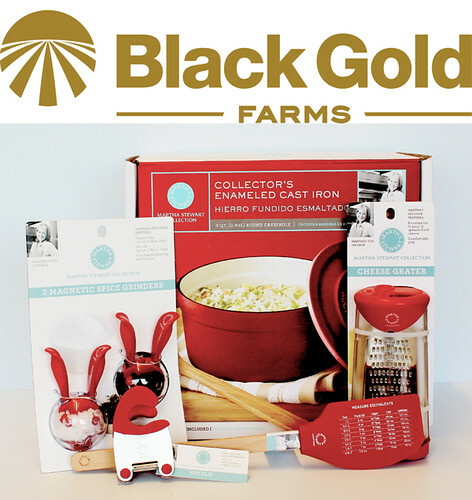 A Martha Stewart Collection Kitchen Prize Package including a 3 quart Enameled Cast Iron Casserole, Magnetic Spice Grinders, a Pot Clip, Cheese Grater and a Silicone Head Spatula. The Food and Wine Conference is being held in Orlando, Florida from July 19-21st at the unbelievably beautiful Rosen Shingle Creek. Speakers include Sara Moulton (of Food Network fame), Michael Green (a true celebrity in the wine and spirits world) and Jaden Hair (cookbook author and creator of Steamy Kitchen). This prize is for a single Full Conference Pass with a value of $250. (Accommodations can be booked at the Rosen Shingle Creek at a highly discounted rate for all conference attendees). 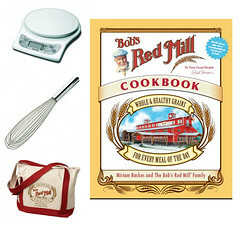 A Bob’s Red Mill Kitchen Prize Pack: A beautifully emblazoned Bob’s Red Mill canvas tote bag containing the Bob’s Red Mill Cookbook, assorted Bob’s Red Mill products, a Salter® Baker’s Dream Aquatronic Baking Scale, Norpro® Silicone Heat Resistant Spatula, Best® Standard French Whip and a $40 Bob’s Red Mill Gift Card. 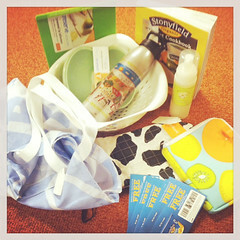 A Stonyfield Kitchen Prize Pack: A Prize Pack full of yogurt fun From Stonyfield Organic Yogurt is just ONE of the amazing prizes in our #BrunchWeek 2013 giveaway.Preserve Colander, Preserve portable yogurt carrier, Preserve cutting board, Stonyfield cookbook, Stonyfield oven mitt, Travel sandwhich carrier made out of 100% reused plastic bottles, Stonyfield water bottle, Stonyfield tote bag, 10 free cups of Stonyfield Greek.